I am currently accepting a limited number of new students in the Charleston area, and will be teaching out of my home in West Ashley and at the Charleston Academy of Music. If you would like you reserve a place in my studio feel free to use my contact page. 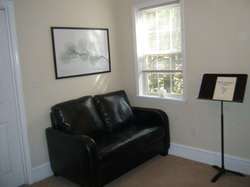 If you are interested in studying with me privately my rate is $25 per half-hour lesson and $40 per full-hour lesson. I request that for ease of bookkeeping that lessons are paid by the month at the beginning of each month. Any lessons canceled by the teacher will be made up at no additional cost. If you find that you are unable to make a lesson, please notify me at least a day in advance, and if my schedule allows I will try my best to make up the missed lesson without an additional fee. Also, I am unable to allot extra time at the end of a lesson for tardiness without proper notification. I understand that traffic is not always kind and will try to accommodate if notified before the start time of the lesson. Please keep in mind that any make-up lessons are scheduled at my discretion and regular last-minute cancellations will not be refunded, except in cases of family emergencies or illness. If you are interested in Suzuki Violin or Viola lessons through the Charleston Academy of Music, please follow the link and contact the director Eunjoo Yun for more information. In keeping with the key principles of Dr. Suzuki's method, I find it paramount that a parent be present at every lesson. Talent Education is only successful if there is proper communication between the parent, teacher, and student. Because the parent will serve as a teacher in the home, I do ask that notes are taken during the lesson and will make time to answer any questions or concerns. I understand that not every week will be fruitful and successful, and I will do my best to provide activities to ensure a more successful home practice. Please let me know if you have inquiries regarding approaches to practice and repetition. A positive home environment is vital for a child's success, so please be sincere in supporting your child in their musical endeavors. It can be detrimental to all forms of formal and musical education if both parents are not equally invested, and please remember that a child will naturally pick up on negative behavior more than positive. Please listen to the Suzuki recordings and other quality performances on a daily basis. Listening, especially in the early stages, is equal in importance to regular practice. Every child learns language at a different pace, and the same is true with violin. So please be patient while I cover the initial steps of tone production and coordination with your child. Because small children learn best by imitation, I may ask to teach the parent during the lesson and do offer lessons for parents if they are interested. I have found that on occasion a child will respond more positively to being a “teacher's helper” or observer than always having to take instructions. Patience is important in my studio. Each student learns at his or her own pace, and it is unrealistic and unfair to expect every student will progress at the same rate. It is important not to compare one student to another or speak negatively of others, especially in front of the children. Every person is unique and Dr. Suzuki's method is not just another means to producing another generation of violinists, but a method that aims to produce generations of adults that can celebrate their differences and work together to help their world become full of love, harmony, and respect. as I wish to be treated. I will be sincere with my words – whether they are words of praise or constructive criticisms. I strive to teach my lessons creatively, and welcome suggestions and comments from parents and students.